Deer Springs Equestrian, along with Deer Springs Feed & Supply, at 2333 N. Twin Oaks Rd., San Marcos (760-744-9600), is a horse boarding and training facility unlike any other in Southern California. Situated on 21 acres in the historic Discovery Valley, San Marcos, Deer Springs gives the horse and rider the freedom to pursue their riding goals in a relaxed and spacious environment. With a large, indoor arena, two dressage arenas, a large multiple-use arena, turnouts and track, equestrians never have difficulty finding a peaceful place to train and board a horse. Spaciousness is what makes this place special. The owners and managers of Deer Springs Equestrian are long-time horse owners, competitors and trainers. Deer Springs Feed & Supply is a full-service feed store on the premises. It carries a full line of premium dog and cat foods and top-of-the-line horse feeds, hay and shavings. Dog and cat owners also will find full lines of superior foods, treats and toys. The horse feeds offer the best feeds on the market. In addition to feed, the store also carries horse supplies and equipment along with small animal and bird supplies. And there’s more. The store offers everything a seasoned or novice backyard chicken keeper needs to care for their flock, including chicken coops and runs, feed and treats, waterers and feeders, supplements, shavings, egg care products, and other accessories. Latey, the store has become known for carrying equestrian and casual clothing and other conusmer treats. It features frequent sales and special buying opportunities. Yelp reviews have been good. Deer Springs Feed & Supply offers chicks for the roost. Chicken ownership and backyard coops are becoming increasingly popular as more families seek a sustainable way to eat, such as fresh eggs. Raising chickens can be a fun, family-friendly activity while supporting the local food movement. But in order to raise and own a successful coop, it’s important to be educated about how to successfully raise healthy and productive chickens. Americans across the country are taking strides to be more self reliant, including growing food, composting and raising animals. While these types of activities are most often associated with people who live in the country, residents in unexpected settings are embracing aspects of this lifestyle at increasingly fast rates. From barn to backyard, raising chickens is the perfect example of how this momentum is building. Just a decade ago you may have only seen chickens while driving through rural areas, but today coops seem to be popping up everywhere in suburban and city neighborhoods. The backyard chicken movement is thriving, providing numerous benefits to those who participate. 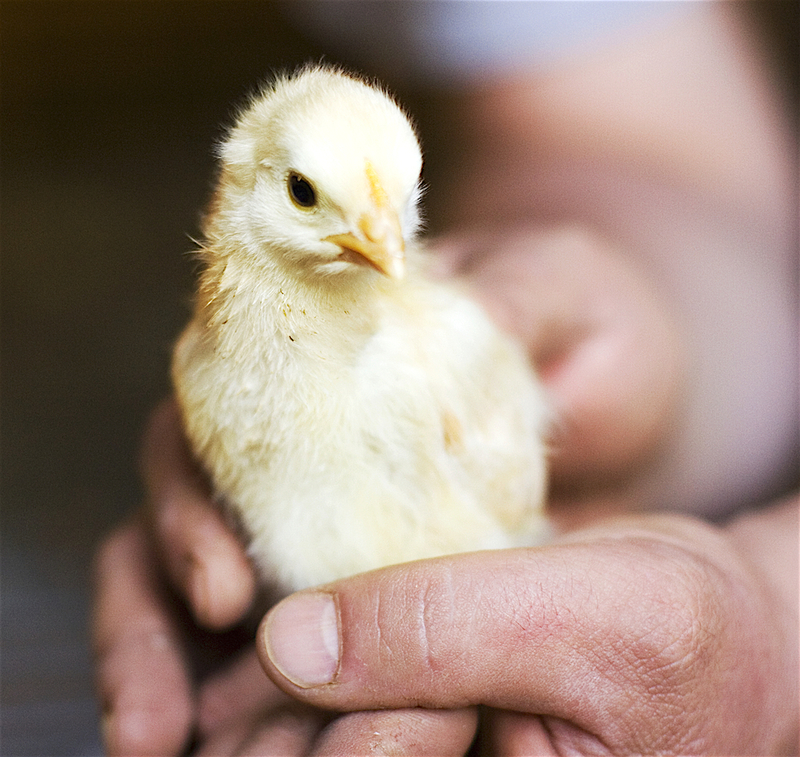 Why consider raising chickens? It’s not necessary to have a farming background in order to raise a small flock of poultry. Chickens are inexpensive to house and feed, managing their care is surprisingly simple, and raising them is a great family-friendly activity. Chickens in return supply nutritious, tasty eggs that are always more fresh than their grocery store counterparts, plus you can use their waste to create organic compost, an invaluable fertilizer for your garden. Additionally, chickens eat many pesky bugs, creating natural insect control on your property. Even if they don’t own them personally, Americans are in the know when it comes to backyard chickens. Half of all adults, and 66 percent of parents, are familiar with the practice of raising backyard chickens. Probably because they know what an educational experience that can be for a family. Sixty-five percent of Americans have tried a farm fresh egg (an egg that comes directly from a local chicken to your table). More than half of Americans have had more than one! To know them is to love them. Thirty-four percent of Americans know someone who owns a backyard chicken. Do your zoning ordinances allow chickens, backyard coops or chicken houses? Check with your municipality’s zoning board before you buy chicks for relevant codes and to see if approval is needed before structures are erected. Check neighborhood homeowner associations, if needed. Is your backyard enclosed? You may want to consider enclosing your yard before you commit to raising chicks. And remember to lock it at night to ensure protection of your flock. 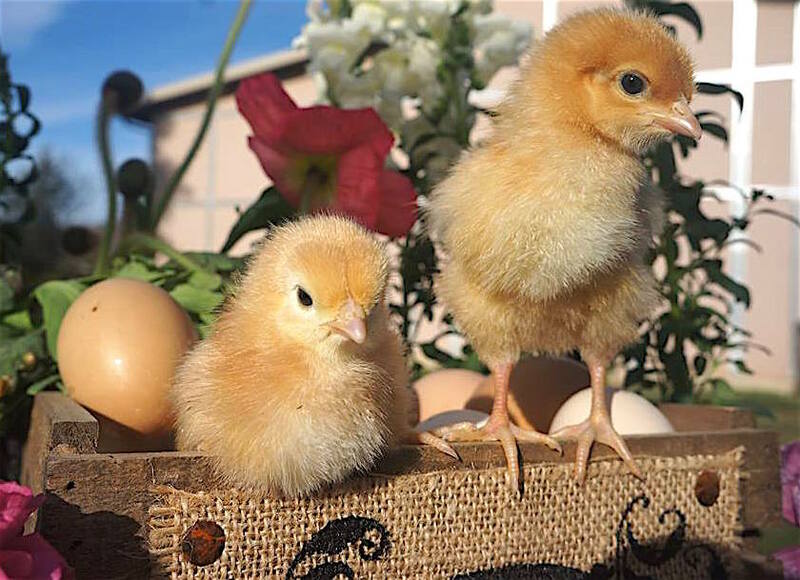 Check with the knowledgeable Tractor Supply staff to get answers about chicks and see if they’re right for your family. Hens are relatively quiet animals. Roosters can make a flock noisier, but aren’t necessary for hens to lay eggs for consumption. Does owning a flock of hens cause a fowl odor? It’s a common misconception that hens cause a widespread odor in flocks, but the reality is that as long as the coop is cleaned regularly, smell is not an issue for owners. When should I skip getting chicks for my family? Getting chicks for your children, particularly as Easter gifts, is not a good reason to buy chicks. Chickens can live up to 10 years with proper care, and also be an educating and fun family experience when well prepared. Deer Springs Chick Days 2016 raises some questions. Do hens need a rooster to produce eggs? No. Hens will lay eggs with or without a rooster. But without the rooster present, the eggs will be unfertilized, so cannot be incubated and hatched. • Chickens create no more odor than any other household pet so long as their coops are cleaned regularly. How many eggs does a chicken produce? The average hen will lay four to five plus eggs a week during the height of the laying season. But this can vary greatly by breed and season. Hens are calm for the most part. You will notice each bird will have a unique personality, so dispositions can vary by breed. Roosters can be more aggressive in order to protect the flock, but many remain peaceful with their keepers. What do I feed a chicken? People have reported chickens living up to 10 years. But the typical chicken lives 6-8 years, which can depend on breed, diet and environment. How old does a hen have to be before she starts laying eggs? Most breeds will begin laying between 5-6 months old. Weather and time of year can impact timing. Hens are most productive their first three years of production. How much space do I need to raise chickens? Coops should allow 4 square feet per bird with a run that allows 8 square feet per bird. The more space you provide, the happier, healthier and cleaner your birds will be. Provide a secure coop for your chickens. If your chicken yard area is not enclosed, it is highly recommended to close and lock the coop at night. Open windows should be covered with a protective mesh with openings no larger than a 1/2 square inch to ensure protection for your birds. Be the first to comment on "Hey Deer Springs Equestrian, Feed & Supply"